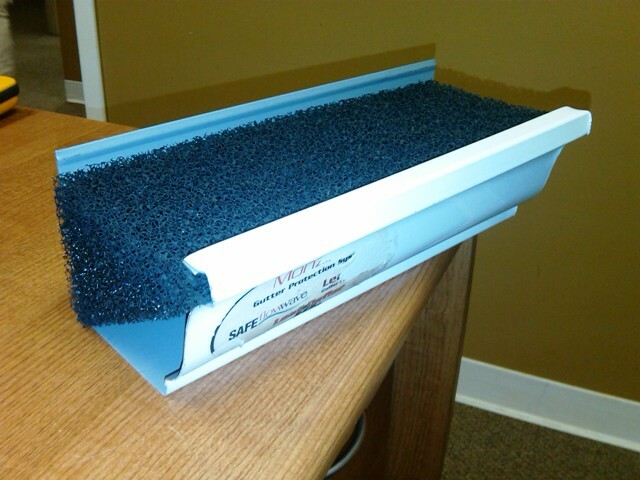 The Leaf Defier is an open cell polyurethane insert, specially shaped and cut to fit snugly into your spouting. Even during the heaviest of rainstorms, the water flows through the Leaf Defier into the spouting valley and out the downpipe. The Leaf Defier patent pending material is factory treated with a Biocide and Fungicide that inhibits the growth of mould, mildew, fungus, algae and moss. It also has a built in UV stabilizer to prevent degradation from the sun. The Leaf Defierlightweight and flexible design make installation a dream for the homeowner or contractor. 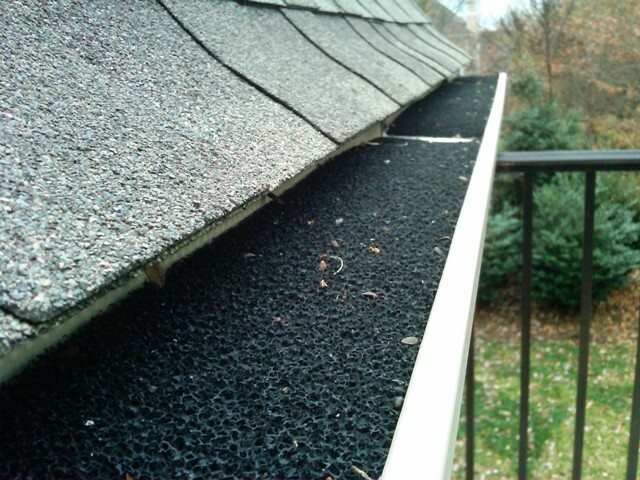 Just slide Leaf Defierunder the existing spouting spikes and pull across the length of the spouting. No hardware or additional tools are needed. It's that easy! Clogged spouting can cause water damage to your home. 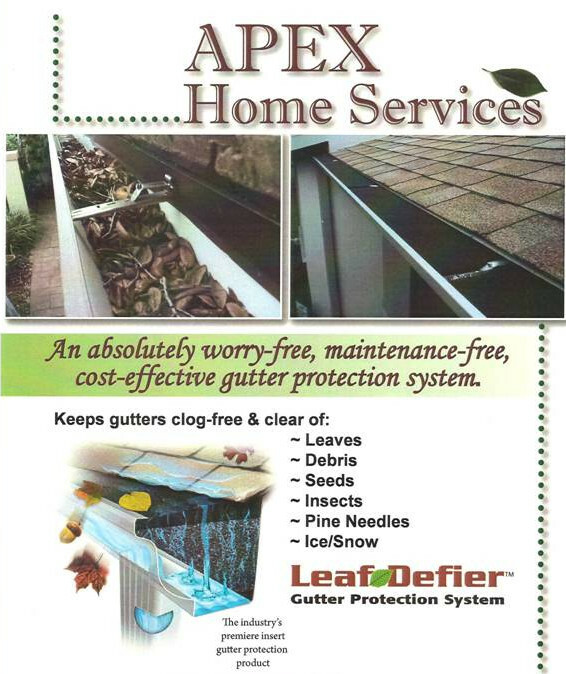 Install Leaf Defierand protect your home from foundation problems, basement leaks, rotting windows, rotting fascia boards and soffits, mould and mildew, and insect infestation.